The past week has been pretty cool. In just one week, I designed and implemented an app for iOS that can be edited remotely using a online editor (Yep, Zesty). It’s been tough, but I can honestly say I’ve learned a lot from the experience. One of the most initially challenging things was the design process of the app. Now I’ve created many apps in the past before, but I’ve pretty much always been either a) by myself or b) the only person who knew App Development. At Zesty, I found myself surrounded by people much more talented and experienced than I, and presenting my design to them was initially quite scary. My initial designs were critiqued heavily, and while I was initially annoyed that my design wasn’t approved, I soon realized that the feedback I was getting was incredibly valuable. My design didn’t just improve a small amount from each review, but it instead evolved dramatically. Special thanks to Chloe and Randy for giving me awesome feedback. After the design process, I went to implementing the app, using the Cocoapod I had made the week before. Using your own library is honestly a really good way to see ways to improve it (as they say, taste your food before serving it), and I’ve already made a few gouda changes to the library. So what exactly are you making? I’m creating an app version of the ZestyBurger website I made last week. Essentially, I’m creating an example Burger Chain Restaurant’s entire potential connected online presence. Last week, I worked on creating an iOS Wrapper Library with Cocoapods to allow for easy access of the Zesty API, and this week I worked on demonstrating the capabilities of said library by making an app. I’ve especially focused on creating things that are app specific, to show that you don’t necessarily need to have a webpage for all of your data. 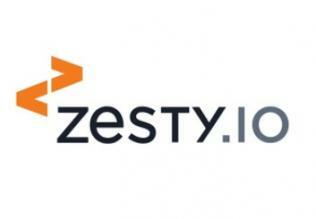 In the ZestyBurger app, you can see this with Coupons, which are managed by a dataset on Zesty.io, but aren’t anywhere on the actual website. This is because you can only get access to them when using the mobile app. In the meantime, I’ve also found a nice burrito place that sells pretty good California Burritos (that can be vegetarian too! (I’m a vegetarian who absolutely loves California Burritos)). That’s one week, see you in another!